Nick Bromell received a BA in Classics and Philosophy from Amherst College and a PhD in English and American Literature from Stanford University. He was the founding editor of The Boston Review, where he continues to be a contributing editor; he also serves on the editorial board of The Sixties and as an advisory editor to the Class: Culture series published by the University of Michigan Press. He has been President of the New England American Studies Association, and he is the principal convener of Democratic Vistas: An Interdisciplinary Seminar in Political Theory and Cultural Studies. Nick Bromell's primary research seeks to reconfigure conventional understanding of US intellectual history by demonstrating that works of literature and popular culture can be expressions of philosophy and political theory. His publications reflect his particular interest in bridging the gap between academic discourse and public debate. 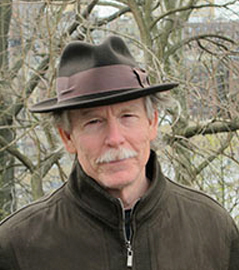 His articles, essays, and reviews have appeared in American Quarterly,American Literature, American Music, The Boston Review, Harper's, The Boston Globe, The Sewanee Review, The Georgia Review, Fortune, The New York Times, New England Monthly, Political Theory, Raritan, and on-line at Exquisite Corpse and Salon.